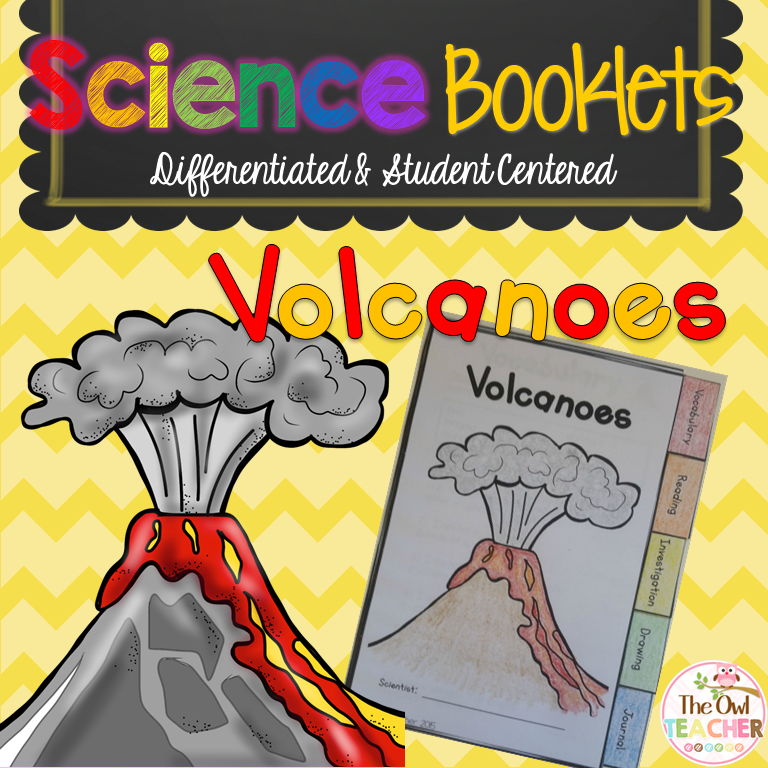 The Best of Teacher Entrepreneurs III: SCIENCE LESSON - "Volcano Tabbed Booklet"
So how can you safely have explosions while still teaching them? somehow integrate both reading and science together? while you just take a deep breath? This science booklet is very engaging, works like a center, all while implementing both science and reading practice skills! It's Differentiated for your High Kiddos and Low Kiddos! In this packet you will find a mini-book for students to assemble and explore the critical science concepts of volcanoes. It can be used to teach, reinforce, and/or challenge students, all while meeting their needs and learning styles. The reading page has been differentiated for your students with one being a higher level (HL) and the other being a lower level (LL). The tabs in this booklet can be used as science stations. The first tab contains an important vocabulary activity related to the science concept of volcanoes and corresponds with the reading piece provided. The second tab asks comprehension questions related to the reading piece and requires students to support their answers with textual evidence. The third tab focuses on an investigation to deepen the understanding of volcanoes. The fourth tab asks students to draw while the fifth tab prompts students to respond to a thought-provoking journal question. You can find this exciting Volcano Science Tabbed Booklet Here! You can see the other varieties by clicking here. Be sure to follow me so you are up-to-date on all my products, freebies, tips, and much more! Copyright of The Owl Teacher. All rights reserved by author. This product is to be used by the original downloader only. Copying for more than one teacher, classroom, department, school, or school system is prohibited. This product may not be distributed or displayed digitally for public view. Failure to comply is a copyright infringement and a violation of the Digital Millennium Copyright Act (DMCA). Intended for classroom and personal use ONLY. I love it when you share my products with your colleagues but please do so legally! Thank you!